We're looking for owners of a wide range of bikes to get involved with our 'Why I Had to Have' feature in the print edition of MCN. If you own one of the following bikes, please contact Alison.Silcox@emap.com. Your comments must be accompanied by a digital mugshot of yourself, plus your age. 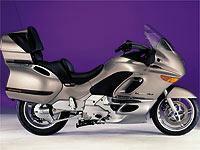 For bike reviews and road tests, please follow the Related Bikes link, right. You ask/you answer: How much safety gear do I really need?